If you’re a frequent user of Uber for rides around town, then you may want to check out the following sale to save 10% off your rides. PayPal’s Digital Gifts store currently has 10% off $50 cards. 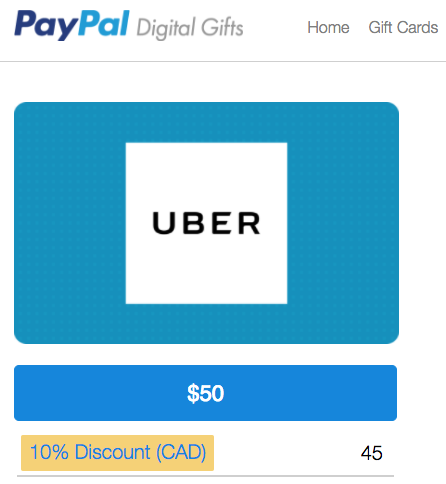 Once you purchase this digital gift card, just load it into the Uber iOS app and when it comes to selecting payment, choose from your account balance. If you do make a purchase and don’t see an email containing the digital gift card code, check your email’s spam folder, according to RFD. The PayPal digital gift store periodically holds sales on various gift cards, such as iTunes gift cards and even Apple Music.